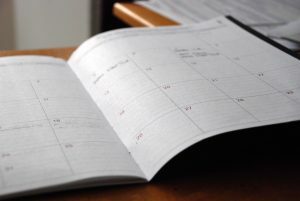 Home › Legal Questions › How are days counted in terms of CCMA rules? In terms of the rules, the word “day” in the calculation of any time period means a calendar day, and the first day is included but the last day is excluded. The last day of any period is excluded if it falls on a Saturday, Sunday, public holiday, or on a day during the period between 16 December and 7 January. Employees who want to refer a case of unfair dismissal to the CCMA must do so within 30 days of the date of the dismissal. If you have been exposed to an unfair labour practice as defined in the Labour Relations Act (No. 66 of 1995), you must refer the case within 90 days from the day on which this unfair practice occurred, or from the day on which you became aware of it. If you do not refer your case within the specified time, the CCMA will require you to bring a condonation application with your referral, and the only way achieve success with this will be if you have a very strong case and the delay was not because of your own negligence. Contact the Solidarity Service Office on 0861 25 24 23 for expert advice before taking any action.